Come Join us for Wednesday of Reach Week! Welcome to Wednesday of Reach Week 2019! Our theme is "Across the Street & Around the World" and tonight we have some really special events planned that you can be a part of! It begins with the all-church, mid-week Missions Dinner. Come enjoy a Middle Eastern meal of kabobs, rice and salad at 6:00pm ($5 donation for individuals or $10 per family) at the tables next to the Field. 1. Global Family Fun Night will be boarding for adventure in Fellowship Hall. Bring your whole family (children age 3 and up, Nursery also available). Enjoy in-flight snacks, games, and much more alongside some of Calvary's missionaries. 2. Middle School and High School students will host a Student Ministries Missions Dessert with Hume Lake Leader Rachel Closs in the Student UnderGround. 3. Celebrate Recovery will have their weekly program as usual in S-6, where you can find hope and healing in a Christ-centered, 12-step community. 4. Everyone else is warmly invited to the Worship Center Lobby for a missions event we are calling, Lost in Translation, a time of funny but true stories from Calvary missionaries. Please join us tonight! 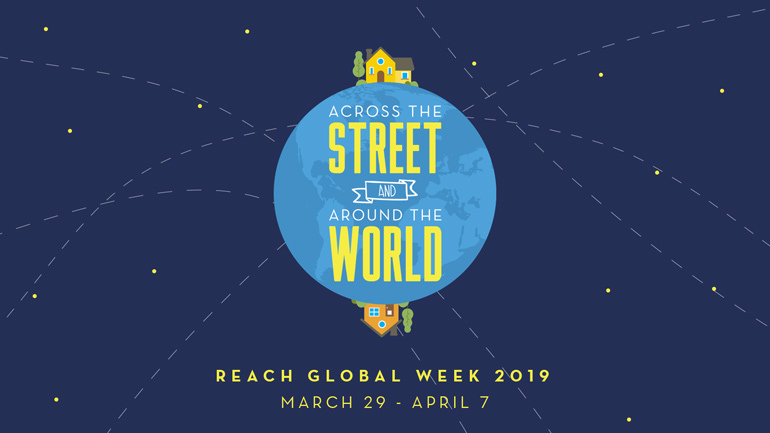 Discover more Reach Week events here.